1969 Camaro body lines are 30 percent cheaper on a 1969 Pontiac Firebird. I’ve done the math and witnessed it in person. The 1969 Pontiac Firebird gets no respect. The Poncho ’Birds are a bargain when compared to Chevys prized Camaro cousins. Your pocketbook will thank you now if you score a yard find like this black 350-V8 1969 Firebird but get ready to choke back tears when or if you decide to sell. The Pontiacs will not reward your restoration efforts by bringing you a big return on your investment. Chevy is winning the race to the bank in this muscle car war. 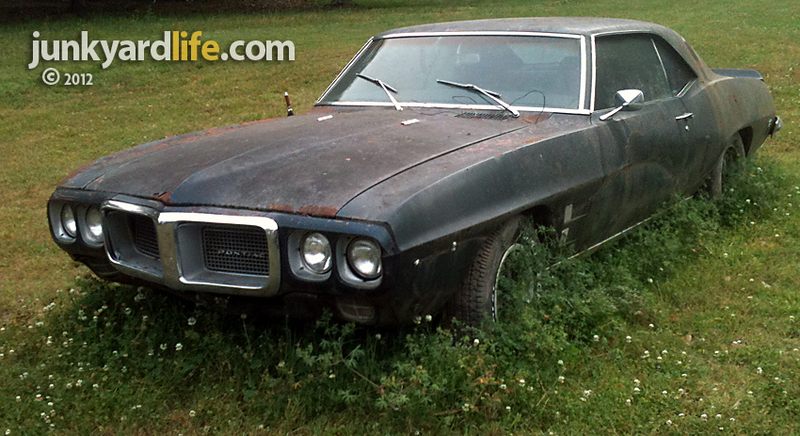 This 1969 Pontiac Firebird 350-V8, flower bed needs weeding. Check the numbers as First Gen F-bodies roll across the auction block or compare their values on Collector Car Market, a favorite online resource of mine. 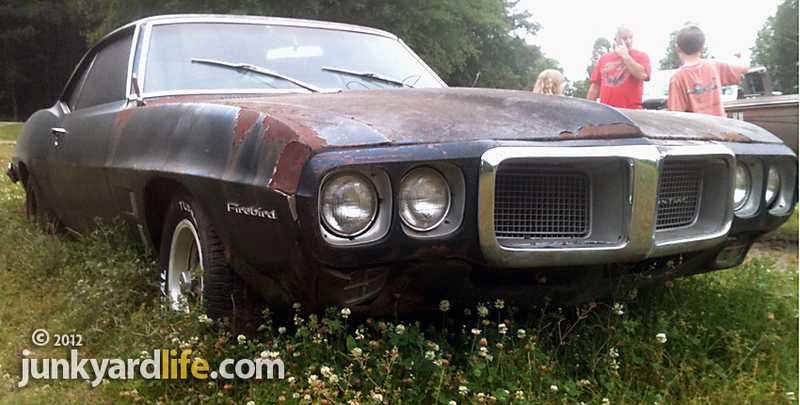 In #3 Condition a base V8 Firebird 2-door (350-2 barrel) hardtop is valued at $7,550. A base V8 Camaro (327-2 barrel) 2-door hardtop is valued at $11,100. The Camaro is worth 32 percent more than a similar Firebird. Ouch! This is especially painful because the Camaro coupe was cheaper when new at $2,726 compared to the Firebird’s $2,821 base price. Also, Chevy produced 243,085 Camaros for the 1969 model year, while Pontiac produced 87,708 Firebirds. Baffled? There are fewer 1969 Firebirds and they are worth less than 1969 Camaros. John Z. Delorean and his bag of tricks moved to the Chevrolet division in February 1969. Did the '69 Firebird get a bum rap because John Z. was pushing the Camaro? Cruising farmlands and back roads for muscle car magic is all to often a wild goose chase. Big block muscle cars and any rusted-out relic resembling a Barrett-Jackson stage star have been squirreled away or sold multiple times. Those transactions inflate the price each time the car changes owners. My guess is that 1969 Camaros have changed hands more often than any American-made muscle car in history. Their values have climbed so high that no one would dare park one outside. Or would they? I squinted my eyes as I spotted a black 1969 Camaro parked in the weeds. "Ron, check out the ’69 Camaro!" I had no sooner processed the though in my head, when I knew I was wrong. It can't be a 1969 Camaro in the weeds. They don’t exist. "It's a '69 Firebird, even better!," Ron said. "What could be better than a 1969 Camaro parked in weeds?," I thought. Rear, side marker lights on the 1969 Firebird were a one-year design. In 1968 the rear, side marker lights were the Pontiac arrowhead. 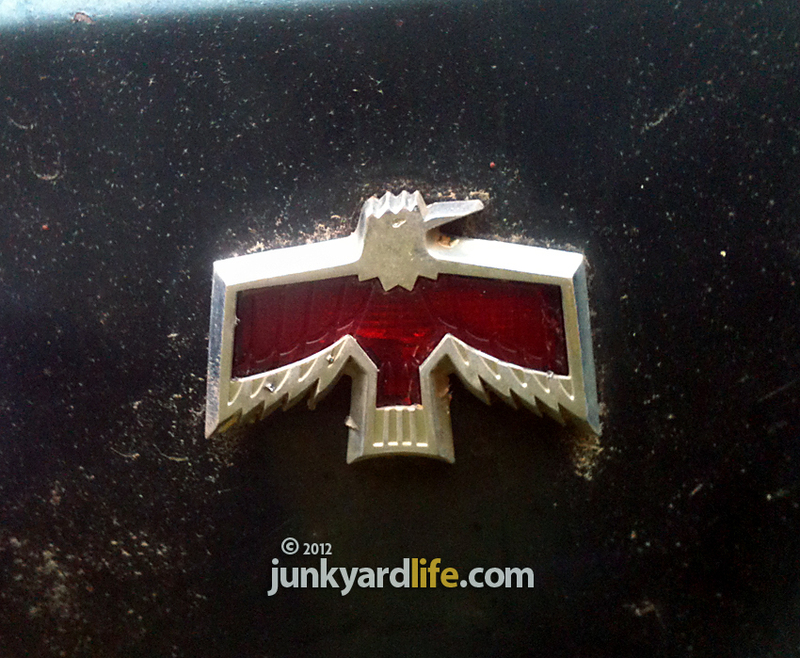 Is the Firebird for sale? Our black 1969 Firebird find and the subject of our budget bench racing abuse was not for sale. The owner has plans to "fix her up, someday." One question bounced around inside the truck on the way out of the Firebird owner’s driveway. "If it were a Camaro, would it be parked in the yard?" 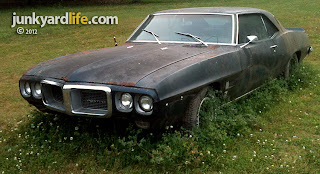 Do you know where a muscle car is parked in the weeds, send photos and an address. We’re on the way!? 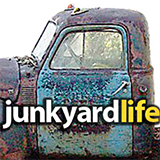 Send emails to junkyardbull@gmail.com. Pontiac sold 20,000 less redesiged 1969 Firebirds compared to 1968 'Birds. That underwhelming total occurred during an extended 17-month production year. I love the lines on the Camaro... I mean Firebird. These tail lights were also used on the Pontiac Astre. Thanks, but I didnt get to buy it.